The students can arrange the foam pieces to build sentences. I used the orange turkeys to write their sight words on, and I used the brow turkeys to write the CVC words. For this activity I only wrote "at" and "an" words because those are the word families that we are studying right now. I will be on the lookout for winter foam pieces for next month! I also want to share with you some great seasonal products created by my dear blogger friends, for you to check out! 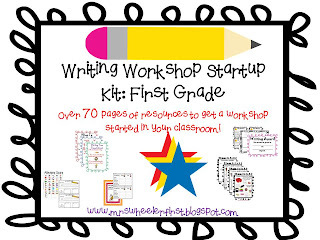 Mrs. Wheeler's First Grade has designed three great products that are perfect for first grade and absolutely adorable! 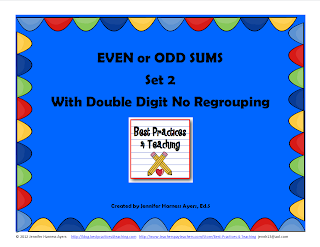 Click on the pictures to see her TpT Store..
Next, Jennifer from Best Practices 4 Teaching has some great packets for older students that I want to show you! 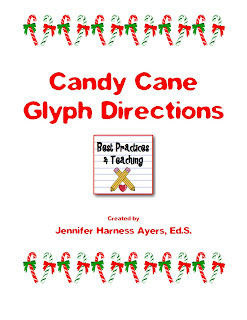 Click on the pictures to visit her TpT Store. 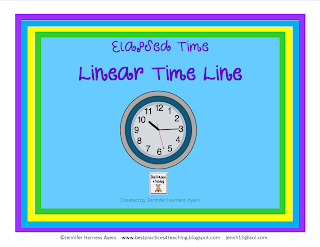 Last, but certainly not least I want to share two goodies from Nicole over at Teaching With Style! 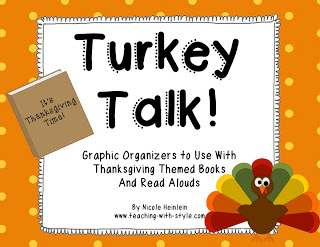 She has a unit called "Turkey Talk" that contains graphic organizers for Thanksgiving themed books! 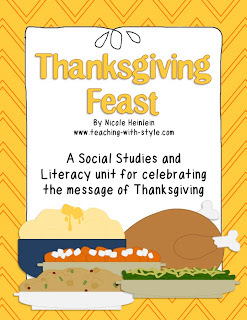 She also has an adorable unit all about Thanksgiving! I love this idea! There are so many things you can do with it! Sight words, practicing blending sounds, word building, sentence building. I might have to try it out! Thanks! Cute!!! Thanks for a new idea! I love all your foam shapes!!! Especially the sparkly ones! I wonder if those are from the Dollar Tree?? I wanna get me some! Although we only have 2 days left before Thanksgiving break, but I need to keep my eyes out for Christmas ones! !